The John Angotti Mission final night will be 6:30 PM Wednesday at the Opelousas Catholic Gym. Both a renowned speaker and musician, John Angotti's Mission will also be available to download and listen to! As part of our answering the challenge of the Holy Father to go out and evangelize utilizing new technologies, we offer the homily each week for download as well as this week's mission. Clicking the link should download it and automatically start it playing in whatever music player your computer is set up with. On the technical side, this file size is about 26 megs which means it may take a few minutes to download on slower Internet connections. It is also an MP3 formatted file which means that these are essentially podcasts. Don't worry if all the technical words don't mean much to you. It means we're using the latest in technology in order to make sure our church parish can reach the most people. The John Angotti Mission Night 2 is available on a link on the front page of the website next to the link for the current week's bulletin. 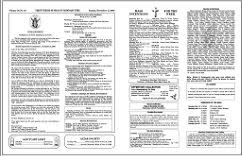 On the page with the prior bulletins, the corresponding mission recording will be sitting side by side with its bulletin. We started on the anniversary of the start of the Catholic Church, Pentecost Sunday --- over two years ago. This week, the John Angotti Mission Night 2, is our one hundred and sixty seventh! podcast to be posted. So, take a listen and let us know what you think. Click here to download the John Angotti Mission Night 2 from St. Landry Catholic Church, Opelousas, Louisiana. 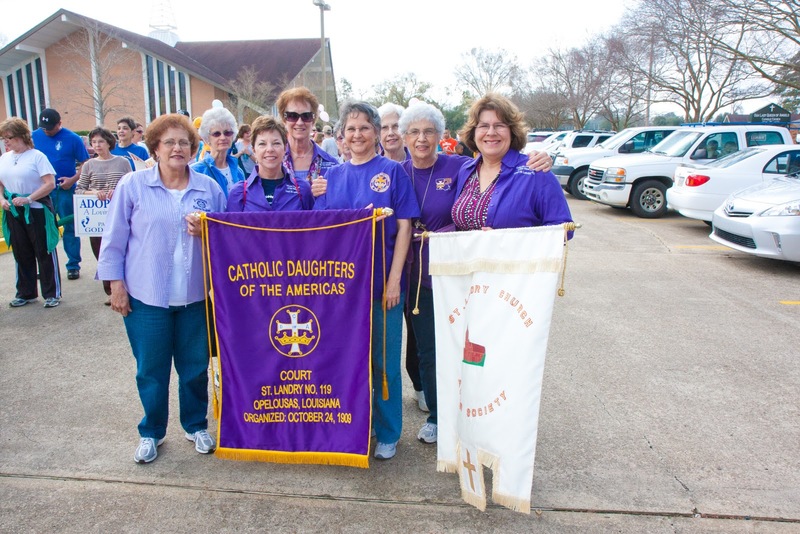 Remember that the last night of the Mission will be 6:30 PM Wednesday at the Opelousas Catholic Gym. The John Angotti Mission, introduced at each mass this weekend, will continue at 6:30 PM Tuesday at St. Landry Catholic Church. The final night will be 6:30 PM Wednesday at the Opelousas Catholic Gym. 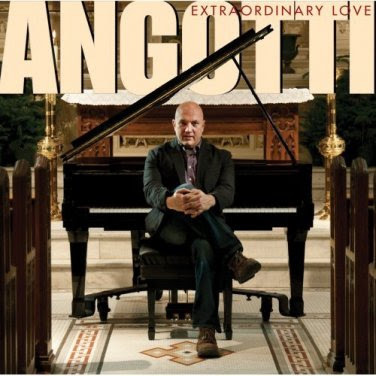 Both a renowned speaker and musician, John Angotti's Mission will also be available to download and listen to! The John Angotti Mission Night 1 is available on a link on the front page of the website next to the link for the current week's bulletin. On the page with the prior bulletins, the corresponding mission recording will be sitting side by side with its bulletin. We started on the anniversary of the start of the Catholic Church, Pentecost Sunday --- over two years ago. This week, the John Angotti Mission Night 1, is our one hundred and sixty sixth! podcast to be posted. So, take a listen and let us know what you think. Click here to download the John Angotti Mission Night 1 from St. Landry Catholic Church, Opelousas, Louisiana. Remember that the Mission will continue at 6:30 PM Tuesday at St. Landry Catholic Church. The final night will be 6:30 PM Wednesday at the Opelousas Catholic Gym. The John Angotti Mission, introduced at each mass this weekend, will continue at 6:30 PM Monday and Tuesday at St. Landry Catholic Church. The final night will be 6:30 PM Wednesday at the Opelousas Catholic Gym. Both a renowned speaker and musician, John Angotti's Mission will also be available to download and listen to! The current week's Introduction for the John Angotti Mission is available on a link on the front page of the website next to the link for the current week's bulletin. On the page with the prior bulletins, the corresponding homily will be sitting side by side with its bulletin. We started on the anniversary of the start of the Catholic Church, Pentecost Sunday --- over two years ago. This week, the Fourth Sunday in Ordinary Time, is our one hundred and sixty fifth! podcast to be posted. So, take a listen and let us know what you think. Click here to download the Introduction for the John Angotti Mission from St. Landry Catholic Church, Opelousas, Louisiana. Remember that the Mission will continue at 6:30 PM Monday and Tuesday at St. Landry Catholic Church. The final night will be 6:30 PM Wednesday at the Opelousas Catholic Gym. The bulletin for the week of January 29, 2012 has been posted. Click here to see it. See more photos from today at the bottom of this posting. Eighty-three Catholic military chaplains who gave their lives during World War II, the Korean Conflict and in the Vietnam War are honored on this monument at Arlington National Cemetery. The monument was erected on May 21, 1989, on Chaplains' Hill by the Archdiocese for the Military Services, Silver Spring, Md. The dedication ceremony, which began with a concelebrated Mass in the Amphitheater of the Cemetery, was presided over by Archbishop Joseph T. Ryan, Archbishop of the Military Archdiocese. Other guests included Brigadier General Patrick H. Brady, chief of public affairs, and the secretary of the Army, who was the speaker for the dedication ceremony. General Brady, a Roman Catholic, earned the Medal of Honor in Vietnam. Monuments honoring chaplains from all denominations who died in World War I and the Protestant chaplains who died during World War II stand alongside the Catholic Chaplains' monument. Seventy priests lost their lives in World War II, six in Korea, and seven in Vietnam. Many of their relatives attended the dedication ceremony, along with 83 priests from 43 dioceses and religious orders. Many diocesan bishops and religious superiors also attended the ceremonies. The idea for this monument originated with Mr. Raymond Costanzo, superintendent of Arlington National Cemetery in 1989. He discussed the idea with Colonel Daniel Donahue, command chaplain for the U.S. Army Military District of Washington. Chaplain Donahue submitted a proposal to the Archdiocese for the Military Services, and the proposal was accepted by the priests' council of the Archdiocese in September 1988. Arlington National Cemetery granted approval in October of that year. The monument is an unpolished granite stone with a bronze plaque. The stone stands six feet 10 inches tall and is 42 inches wide and 10 inches thick. The plaque is 50 inches by 30 inches. It lists the names of the chaplains alphabetically for World War II, Korea, and Vietnam. The cost was approximately $8,000 and was paid for out of the general operating funds of the Archdiocese. The monument was constructed by the Raymond G. Merkle Cemetery Monument Company of Baltimore, Md. 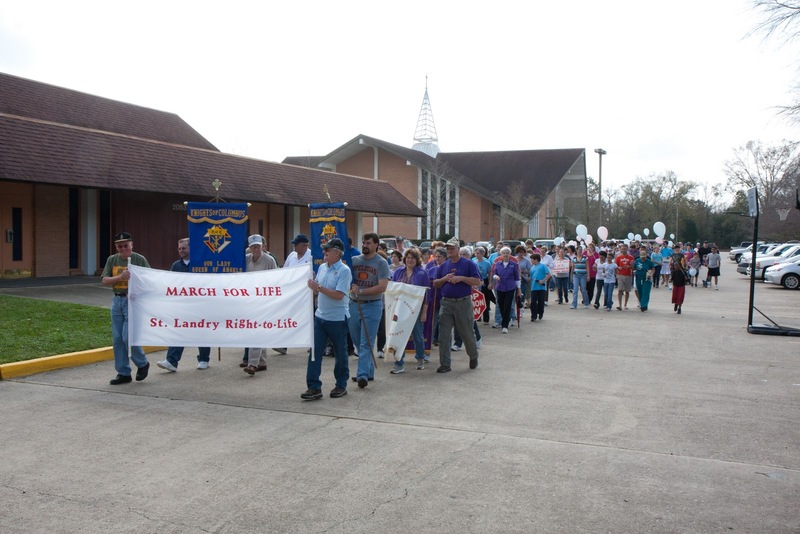 Over the weekend, the St. Landry Right to Life organization held its 25th annual Walk for Life with hundreds participating. Please consider joining the St. Landry Right to Life organization. $15 annual dues will give you access to both local, state, and national newsletters. For more information, you can contact Jeri and John Miller at: (337) 948-9559. Father Brady and a group of students, parents, and teachers from Opelousas Catholic are all in Washington D.C. this week to participate in the events surrounding the annual March for Life. It's the 39th anniversary of the court decision that legalized abortion in this country. The March for Life has become the largest and longest-running civil rights movement since the drive for equal rights in the 1960s. Today is a good day to pray a rosary to turn people's hearts toward a greater respect for life ... at all ages. The current week's homily is available on a link on the front page of the website next to the link for the current week's bulletin. On the page with the prior bulletins, the corresponding homily will be sitting side by side with its bulletin. We started on the anniversary of the start of the Catholic Church, Pentecost Sunday --- over two years ago. This week, the Third Sunday in Ordinary Time, is our one hundred and sixty fourth! podcast to be posted. The homily is given by Deacon Sammy Diesi. St. Landry Right to Life will sponsor the 25th Annual Walk for Life on Saturday, January 21 at Our Lady Queen of Angels Catholic Church on South Union Street in Opelousas, beginning at 10 AM The short program will feature Father James Brady, and also the Holy Ghost Children’s Choir. The Walk for Life proceeds to the New Life Center on East Landry Street, ending around noon. The Catholic Daughters will serve refreshments. For more information, call John or Jeri Miller at 337-948-9559. Come join us this morning at 10 AM at Queen of Angels! The bulletin for the week of January 22, 2012 has been posted. Click here to see it. The current week's homily is available on a link on the front page of the website next to the link for the current week's bulletin. On the page with the prior bulletins, the corresponding homily will be sitting side by side with its bulletin. We started on the anniversary of the start of the Catholic Church, Pentecost Sunday --- over two years ago. This week, the Second Sunday in Ordinary Time, is our one hundred and sixty third! podcast to be posted. The homily is given by Father James Brady. The bulletin for the week of January 15, 2012 has been posted. Click here to see it. The current week's homily is available on a link on the front page of the website next to the link for the current week's bulletin. On the page with the prior bulletins, the corresponding homily will be sitting side by side with its bulletin. We started on the anniversary of the start of the Catholic Church, Pentecost Sunday --- over two years ago. This week, The Epiphany, is our one hundred and sixty second! podcast to be posted. The homily is given by Father James Brady. The bulletin for the week of January 08, 2012 has been posted. Click here to see it. The current week's homily is available on a link on the front page of the website next to the link for the current week's bulletin. On the page with the prior bulletins, the corresponding homily will be sitting side by side with its bulletin. We started on the anniversary of the start of the Catholic Church, Pentecost Sunday --- over two years ago. This week, Mary Mother of God, is our one hundred and sixty first! podcast to be posted. The homily is given by Father James Brady.